Harissa is one of those condiments you wish you had discovered earlier in your life; once you have tasted it, and you are a fan of hot peppers, there is no going back. 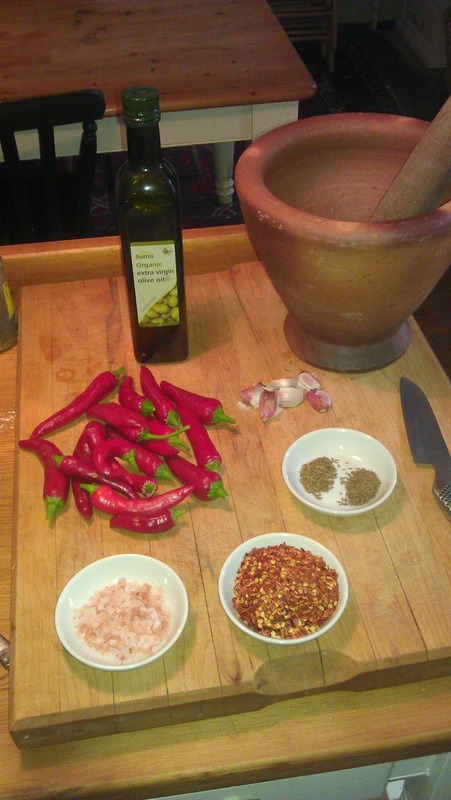 Harissa originated in the Barbary states of North West Africa, but it is often used as a table condiment and food ingredient throughout the Mediterranean. I love to add it to rice dishes as well as on grilled meats and fish. 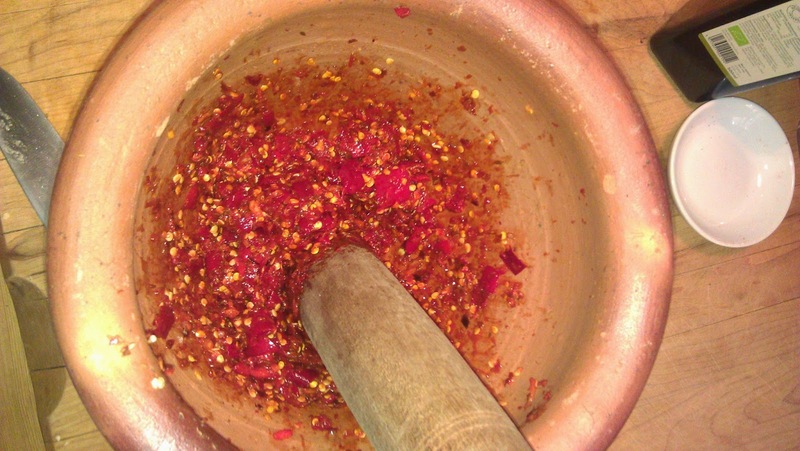 Chop the ripe red chillies and the garlic then add all ingredients except the olive oil to a large mortar, and pound with a pestle until the mixture becomes a smooth paste. Add the olive oil and stir to mix well. 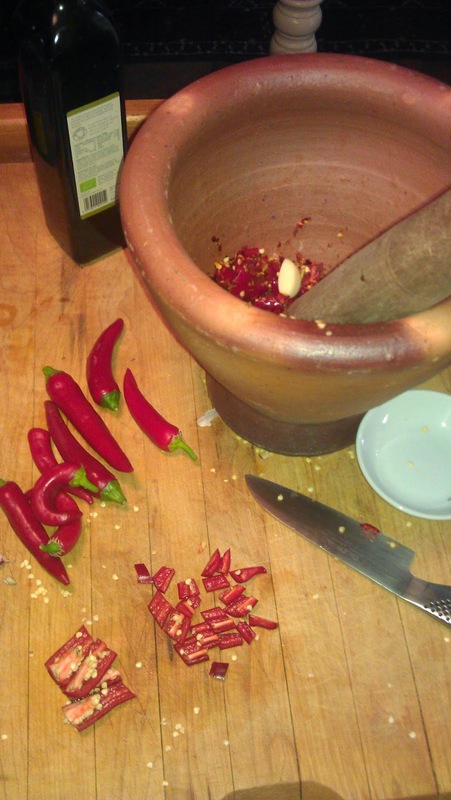 Decant the harissa to a clean and sterilized jar and seal. The flavour improves after a few days and the harissa will keep for several months, but trust me it will not last that long! You can get good results by adding all ingredients to a food processor and blitzing it to a smooth paste, but I prefer the traditional method because it seems to bring the spice flavours out much better.